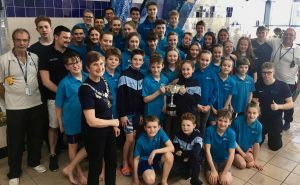 Mid Sussex Marlins becomes the first club in Sussex County history to take first place in all Age Group and Champion Club Competitions at the Sussex Amateur Swimming Association Championships. Following on from winning the County Relay Championships in January 2019, Mid Sussex Marlins has continued to achieve further success at the County Age Group Competition during February. Additionally, swimmers from Mid Sussex Marlins achieved 11 qualifying times for the British Championships taking place in Glasgow in April. Two swimmers also set new County Records; Sophie Maguire took the Open 200m womens’ back record in a time of 2.15.90 and Alex Bowen set a new Open 50m freestyle record in a time of 22.88. Alex actually broke the record twice, once in the heats and then again in the finals. There was also success for Mid Sussex Marlins’ swimmers in the FINA points age categories; Constance Logan (girls’ 11 years), Bethany Abrams (girls’ 14 years), Ben Uff (boys’ 11 years) and Oliver Hoey (boys’ 12 years) all took first place in their age categories. This continues Marlins winning form. The club has had a great start to 2019 and has been the overall top club at the Sussex County Championships for the last three years. 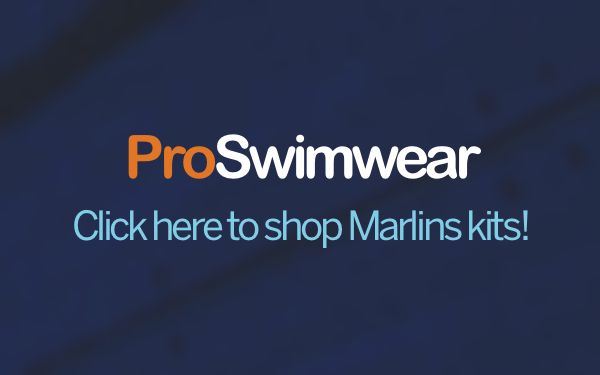 Marlins swimmers took 58 Gold, 54 Silver and 50 Bronze medals at this year’s Age Group Competition, in addition to 27 of the under 16 and 31 of the over 16 Championship titles. Head Coach, Stephen Murphy, expressed his delight at the club’s performance; “This year our club has achieved something that is unprecedented in the history of the Sussex County Championships. The team was able to take home all honours from the Championships and convincingly win the overall points total, achieving our highest ever score. A real highlight for me was having around 25% of the finalists coming from Mid Sussex Marlins which shows our strength and depth. Five years ago the club was placed sixth overall. We have made significant changes and developed over the past four years to build to where we are now. The coaching team and club have worked hard to ensure our swimmers have the right environment to perform and progress and this hard work is starting to pay off. We are now moving into the next phase of our plan and intend to build on our achievements. I would like to thank the coaching and teaching team, the club staff and committee for all the work, support and efforts that go into making this level of performance happen. We are extremely proud of the swimmers and their achievements”. MSM Chairman, Les Hawkey, said; “This is an amazing achievement by all the swimmers. Success does not happen by chance and it takes many hours of training and coaching to reach these levels. Many of our swimmers have come up through the development pathways we have put in place and are now reaping the rewards from all the early mornings and late nights spent in the pool. 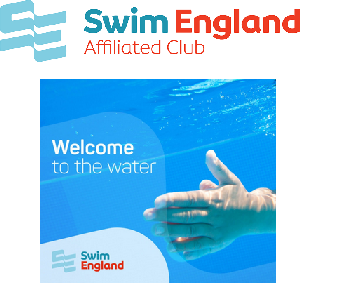 Congratulations to every swimmer who qualified for the championships and to all our coaching and teaching team, volunteers and club officials for their hard work and support for our club. You should be rightly proud of your achievements”.